What is Variable Loan service? What are the loan options available? Below listed loan options are available and relevant loan can be granted based on subscriber’s Age On Network. 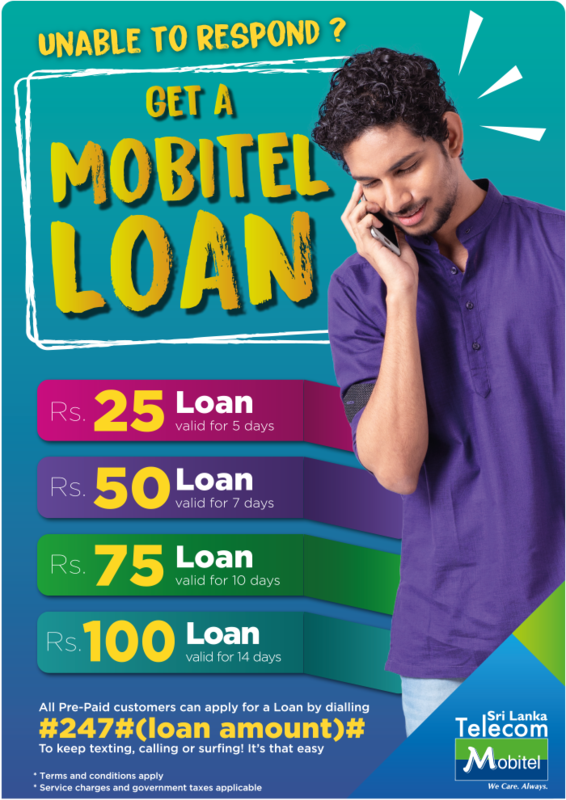 How can I request for an emergency loan from Mobitel? For new variable loan values, simply dial #247#loan amount# from your phone. Are there any conditions applicable for this loan service? What services are enabled for Loans taken? How can I check available balance of my loan taken? Dial *100# on your phone, you will receive an SMS with the remaining balance on your loan Or dial 141 and press 1. If I do not utilize the total amount of my Loan, do I still have to settle the loan amount? Yes, the Loan amount will have to be settled even if you do not utilize it within the validity period.